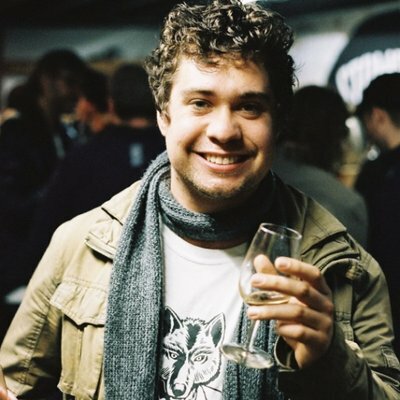 He’s one half of the podcast Ale of a Time, writes regularly for the likes for Broadsheet, Good Beer Hunting and Beer & Brewer and is arguably the Australian beer world’s biggest source of meme-driven content. 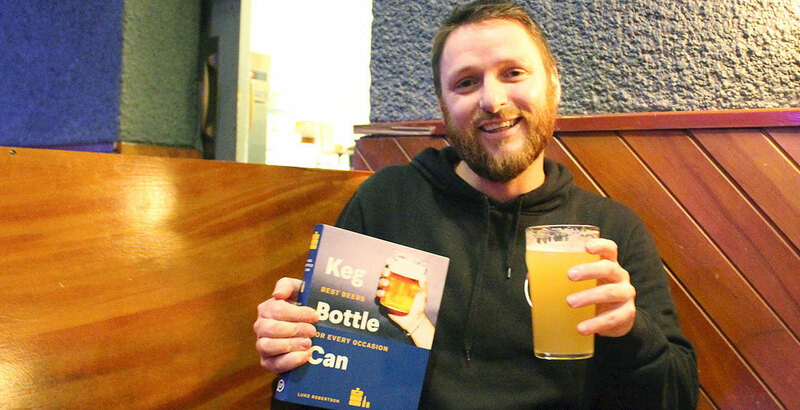 And, as of August this year, Luke Robertson will also be a published author following the release of Keg Bottle Can: Best Beers for Every Occasion. 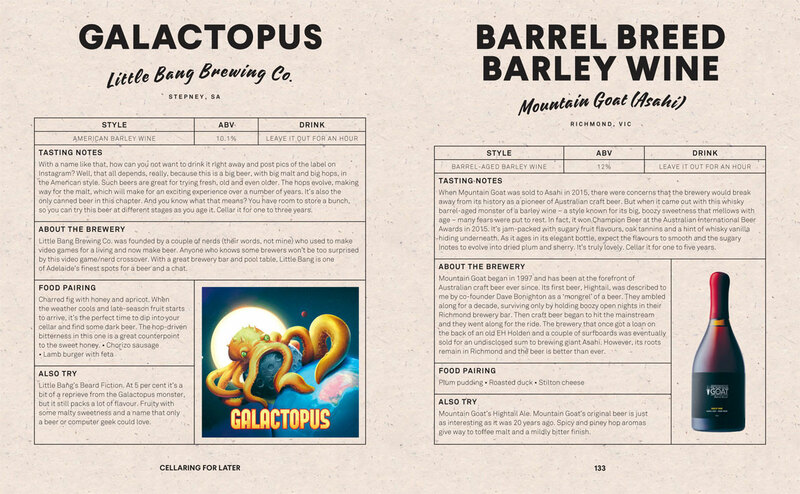 Published by Hardie Grant and acting as something of a spiritual successor to 150 Great Australian Beers and The Great Australian Beer Guide, by this site's founder*, Keg Bottle Can uses 150 beers from 150 different breweries to explore the local beer landscape: where it’s at and what makes it so exciting and fun – as well as suggesting when to reach for a pale ale and when a porter might be best. Indeed, anyone who’s familiar with the two previous books will notice that the last of those is most striking difference in Luke's approach. 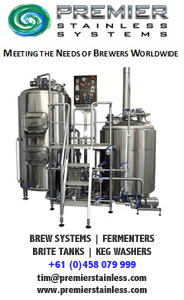 Rather than separating beers into different styles, Keg Bottle Can categorises them by occasion, from beers for the barbie, beers best suited to cellaring or beers best enjoyed in the shadow of the brewery. “The reason for that is I’m not really keen on styles anymore," Luke says. "I think most breweries might have an ale that essentially fills the gap of a lager anyway. A sample spread from the Keg Bottle Can chapter on cellaring beer. Luke says his hope for the book is that it becomes a practical resource: a reference point for anyone looking to discover new beers without being overwhelmed by technicalities. Having turned a blog that started as university assignment into a full-time career, Luke’s better placed than most to argue beer education should be kept fun. Luke first launched Ale of a Time in 2010 and, just as there were far fewer breweries in Australia then, so was the beer media tiny. Willie Simpson had been leading the way, with books and a regular Sydney Morning Herald column, with the likes of Vic Crossland (WA) and Mike Gribble (SA) also appearing in newspapers and Beer & Brewer magazine found in breweries and homebrew stores across the country. But, online, there had been little appearing on a regular basis before then. Microbrewing.com.au, launched by Nail Brewing founder John Stallwood, was on hiatus, Luke's future podcast coconspirator Dave Ellis ran the From Beer To Eternity blog with Rian Peak, Pete "Prof Pilsner" Mitcham produced his Beer Blokes blog before becoming part of the Brews News team, while James Davidson, now Bright Brewery’s marketing manager, wrote about Beers, Bars, Bands. Brews News launched early in 2010, The Crafty Pint following that spring, with Luke noting how the growth in local beer was spurring the development of local beer writing. In time, this decision lead to writing for both Brews News and The Crafty Pint and the creation of the podcast with Dave. Then, when he took out the trophy for Best Media at the Australian International Beer Awards in 2015, Luke decided it was time to focus on doing what he loved. “I came up to a decade in my job, I had long service leave, a whole lot of holiday leave and I wasn’t doing what I wanted to be doing,” he says. 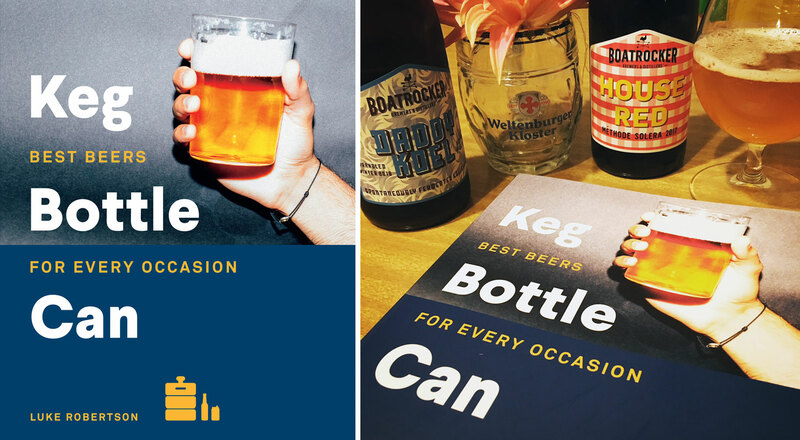 The cover of Keg Bottle Can; and a preview copy being enjoyed as we reckon Luke intended. Which brings us to his first book. While there are challenges involved in moving from writing for yourself to writing features that are edited by someone else to having a book of more than 200 pages edited and re-edited before your eyes, Luke says he found the process rewarding, if arduous, although not necessarily in the way you might expect. The harder part of the process was deciding which breweries and beers to include. With some 450 brewing companies in Australia, his initial list was not only large, but constantly shifting as new beers got released and breweries opened or closed their doors. As to who he hopes will buy it, Luke says he's looked to include plenty in the book for those who are just discovering the wider world of beer as well as those with a broader knowledge. He explains: “A lot of them come from my own love for experimentation and food. We are too clung into this tradition of beer and food matching without stepping outside the realm. As to what’s next, as when he launched his blog, Luke’s still figuring it out as he goes along. Some future ideas involve beers, others don’t. But, at the rate breweries are opening and the industry is changing, it’s a pretty good time to be doing what he does. Keg Bottle Can is released on August 1 with a RRP of $29.95. You can order a copy here. And you can join Luke for the to celebrate at Tallboy & Moose on August 8 – details here. * Full disclosure: A small number of sections of Keg Bottle Can were written by Crafty Pint founder James Smith. As such, he will receive some royalties from book sales. All the more reason to send it to the top of the bestseller lists, folks!